?? Poseidon adventure? Poseidon the god? CIC, Bridge. UMM You might want to recheck that firing solution…. 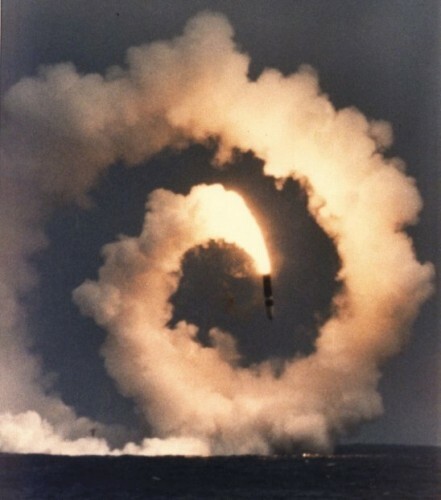 It appears as this is a sub launched missile with a defect or somthing else gone wrong…. likely that one of the boosters failed…. I am Poseidon, and you know nothing of my work!